The obvious attraction for land based blackjack players for moving their real money gaming action online is that there are several different live blackjack games on offer, and by playing those types of game as opposed to the random number generator controlled games you will of course be able to count cards. It will be completely and utter pointless attempting to count cards when playing RNG controlled games as every one of those blackjack games will see the entire shoe of cards being shuffled before a new game is dealt out which means you will never be able to put a card counting strategy into play. The benefits of card counting when playing live dealer blackjack online is that you are going to be able to keep track of the cards that have been dealt out and will therefore be able to determine whether the remaining cards in the shoe are beneficial to yourself or the dealer. As soon as the card remaining in the deck are more favorable to the player then by increasing your stakes per hand dealt out you will have an increased chance of winning. Be aware that counting cards will take a lot of practice and as such you should be prepared to play at home with a deck of cards yourself to fully master the art of card counting, long before you try and do so at an online casino offering a live dealer range of blackjack games. If you do have the patience and time required to count cards then allow us to present to you a very easy to following card counting strategy, which should if you follow the way of playing we are about to enlighten you on, give you a much increased chance of ending any one single playing session in profit. Be aware that when you do count cards you must never veer off the following staking and playing strategy, for if at any time you do you will run the very real risk of playing each hand incorrectly or under or over staking each hand which could cost you dear in the short or long term. This card counting strategy will call for you to give each card in the deck a value and as soon as each card is dealt out you must keep a running total of the card count. The card count is designed in such a way that all of the cards from 2 to 6 inclusive have a value of +1, the cards valued at 7 to 9 have a value of zero and all other cards which are the 10, Jack, Queen, King and Aces are worth -1. You will need to wait until a shuffle has been performed and a freshly shuffled shoe or cards are put into play and then you will place a one unit stake onto your betting box in front of you and then as each card has been dealt out you simply keep a running count of the total. You then need to divide the running count by the number of decks remaining in the shoe, this may seem like a nightmare but you will soon get the hang of doing this once you have been practicing. The way in which you should then play out your hand is by only increasing the unit stake once the count gets high enough. For example if as you are playing off a set of hands once a shuffle has been performed and the running count becomes two, then you should increase your unit stake to two times the unit stake and as such if you have been playing for a unit stake of 5.00 then you should increase the stake per hand up to 10.00 when the count becomes two, or for example if the running count becomes three then you place stakes of 15.00 on the next hand. If at any time the running count drops down in value then you will need to adjust the unit stake downwards in value accordingly. One other thing to keep in mind is that you should always be playing the best strategy of the live blackjack variant you are playing. 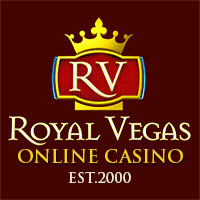 We have reviewed many different blackjack games throughout this website and you will find displayed on those review pages a blackjack strategy card for each variant, and that card will show you to correct strategy to take when playing any blackjack game variant offered online, so playing each hand perfectly will never be a problem and should not be too hard to do. You may be tempted to take a casino bonus when you start to play live blackjack games online for the size of some of the bonuses that are on offer can be quite generous and will of course give you access to additional playing credits when you make a qualifying deposit to claim those bonuses. However, do be aware that any bonus you accept and make use of will come with some very strict play through requirements and those play-through requirements are going to force you to have to play a lot of hands and place a very large volume of wagers before you can cash anything out. With that in mind if you do wish to put into play a card counting strategy when playing live blackjack games online you are best off not accepting any such bonus as by playing with your own cash if you do make a profit you are then able to cash out those winnings without having any play through requirements left. You will of course earn comp points when you are playing blackjack and card counting and as such you will be able to get additional value and additional real money credits via the comp clubs at all live dealer blackjack sites, more so when you are playing for long periods of time.